Ballincollig Town Centre, located just outside Cork city, is one of the most ambitious mixed developments to be undertaken outside of Dublin. 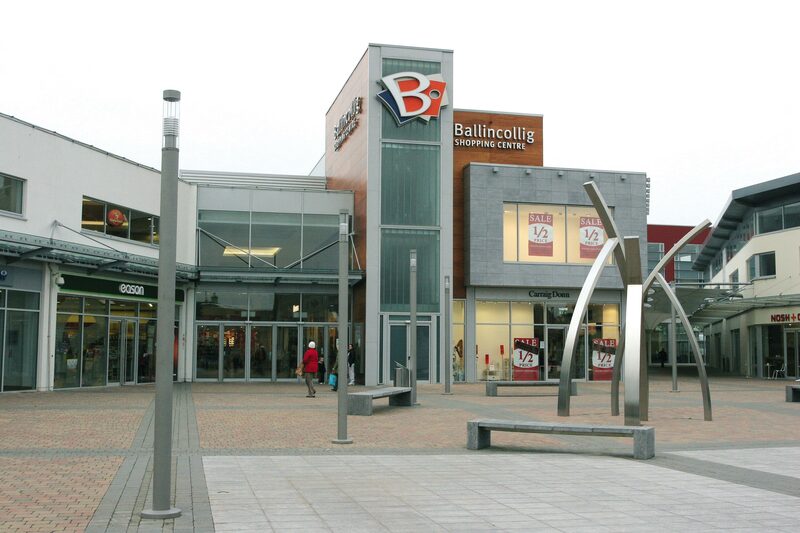 Ballincollig’s 15,000+ residents can expect a dramatic increase in their residential, commercial and working population. 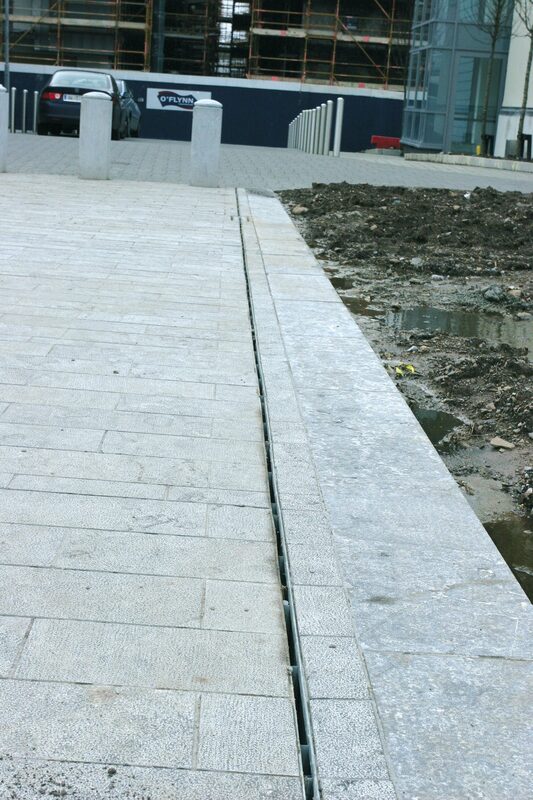 Developer O’Flynn Construction is responsible for the overall development of this €500m project. “This development is one of the largest in Cork and it’s one of the largest I’ve worked on,” says Contracts Manager John O’Mahony. John studied civil engineering in Cork and has been with O’Flynn Construction for several years. Sitting on a 100 acre site, the development comprises 400 houses, 400 apartments, a shopping centre and an office campus. O’Flynn has been in the construction phase of the project for over three years already with a further three years to go before the entire project is completed. Such a large-scale development demanded several architects to be involved from the start. Reddy O’Riordan Staehli Architects designed the office campus section known as Barrack Square, due to be completed in one more year. Three site managers oversee the whole development, with John managing Barrack Square, due to be planted up in a few weeks by landscape architects Brady Shipman Martin. “Paverslot was specified because it has less impact visually. It’s more robust than the product we used previously. It worked out well,” says John. Ballincollig Town Centre is unique in Ireland as the design integrates the new development into the existing town with the structure running along the full length of the existing main street. Features include pedestrian streets, distinctive meeting points, performance spaces and various amenities designed for shopping, living and working. 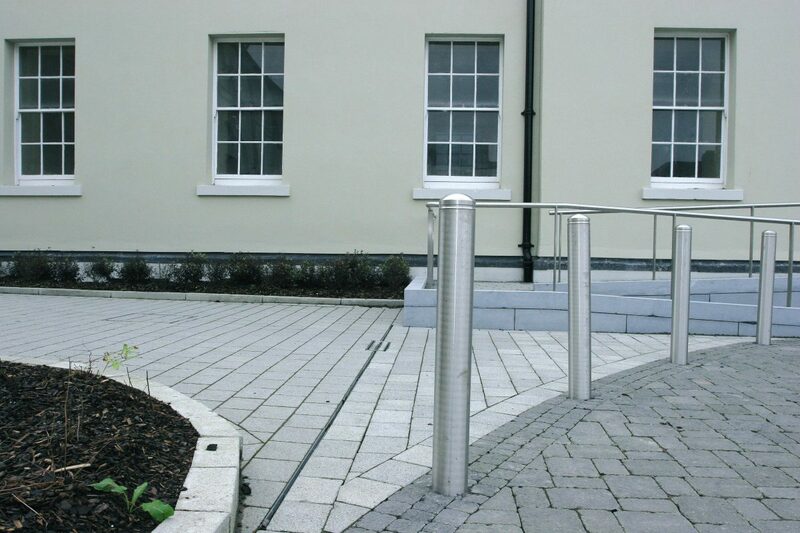 Careful consideration has been given to the overall design and selection of materials and finishes – distinctive pavements, stonework, street furniture, lighting and landscaping, all combine to create an attractive environment. The shopping centre contains a Dunnes Stores supermarket and drapery store, 34 retail units and over 1,000 parking spaces. The town centre shops will feature showrooms, restaurants and pubs, apartments in private courtyards, a tourism retail centre, office campus, medical and health buildings and detached, semi-detached and duplex homes. O’Flynn Construction is relocating its headquarters to an office within Ballincollig Town Centre. O’Flynn also built the existing shopping centre and is currently seeking planning permission to build an extension. O’Flynn Construction is part of the O’Flynn Group and one of Ireland’s leading property development firms. Core activities include property development and construction within the retail, commercial, industrial and residential sectors. O’Flynn specialises in large-scale, landmark developments and has a reputation for creating innovative buildings in imaginative environments in Ireland and the UK.